Dr. Dilek Kurban ist Fellow und Lecturer an der Hertie School of Governance in Berlin. Is the Turkish Constitutional Complaint System on the Verge of a Crisis? We can all breathe a sigh of relief: Turkey’s constitutional complaint mechanism is an effective domestic remedy. Said the European Court of Human Rights (ECtHR/Court) in its March 20th rulings in Şahin Alpay and Mehmet Altan, speaking for the first time on the issue of prolonged pre-trial detentions since the July 2016 coup attempt in Turkey. These belated judgments (the cases were filed in January/February 2017) reflect the ECtHR’s continuing preoccupation with its docket crisis despite the rapid consolidation of authoritarian rule in Turkey. Doctrinally, the ECtHR did not use the opportunity to correct the limitations of its emergency powers jurisprudence and to further develop its bourgeoning Article 18 case law by addressing the abuse of government powers during states of exception. Ever since the Turkish Constitutional Court (TCC) declared in January Alpay’s and Altan’s detentions to be unconstitutional, the case has been associated with the future of constitutional review in Turkey for two reasons. First, these were the TCC’s first rulings concerning detained journalists since the attempted coup of July 2016. Second, in an utter defiance of constitutional authority, lower courts refused to release Alpay and Altan. Then, something rather unusual happened. On 6 March, the ECtHR announced that it would make public its judgments in Alpay and Altan on 20 March. We found out, from paragraphs 4 and 10 of these judgments respectively, that the ECtHR had decided (on 3 March in Alpay’s case, on an unspecified date in Altan’s) to examine these applications as a matter of priority pursuant to its new prioritisation policy, effective since May 2017. Finally, on 13 March, the Council of Europe’s Secretary General Thorbjørn Jagland filled in the blanks: If Turkish courts continued to ignore the TCC’s rulings, the ECtHR would conclude that the TCC is “no longer an effective legal body domestically” and directly review the Turkish cases. Seemingly, Jagland saw no ethical issue in speaking on behalf of the ECtHR. The combination of the ECtHR’s decision to prioritize these particular cases and Jagland’s comments effectively put forth a new criteria for the assessment of domestic remedies in Turkey: lower courts’ abidance by the TCC judgments. So, as long as constitutional hierarchy is observed, Strasbourg authorities would not be concerned with the substance of constitutional review. In other words, what the TCC says in its judgments will not matter as long as lower courts abide by them. Unsurprisingly, the Turkish authorities did not miss this golden opportunity. On 15 March, the TCC issued a second ruling in Alpay’s case, reiterating its first judgment. This time, neither has the lower court refused to abide, nor have Turkish government officials protested the TCC, which they had accused of acting ultra vires in January. In the early hours of 17 March, Alpay was released from prison – only to be placed in indefinite house arrest. As for Altan, the ECtHR was too late for him. Or, rather, the Turkish judiciary was quick. On 16 February, he was convicted of ‘attempting to overthrow the constitutional order’ and sentenced to aggravated life sentence. So, having been awarded 21,500 Euros in compensation by the ECtHR, Altan can spend the rest of his life in prison as a fairly affluent convict. Şahin Alpay and Mehmet Altan are only two of the over 200 journalists detained on terrorism charges since July 2016. Neither are they the only ones who have applied to the ECtHR. In 2017, the ECtHR received ten applications, representing a total of 17 journalists held in prolonged pre-trial detention, and according to its press release of November 2017, treated these cases as a matter of priority. Also among these applicants is Mehmet Altan’s brother, Ahmet Altan, arguably the journalist most loathed by the regime due to his sharp-tongued criticism of the government. The Altan brothers were charged with the same crime on the basis of same allegations in the same criminal case, sentenced to aggravated life imprisonment in the same hearing, and petitioned both the TCC and the ECtHR together. In essence, their cases and petitions were one and the same. Why is it then that the ECtHR handpicked Şahin Alpay’s and Mehmet Altan’s applications among this group of cases which it hitherto treated together instead of issuing a judgment in all of them? The answer is obvious; it’s only in these two cases that the TCC issued a ruling (finding violations of the European Convention), whereas it is yet to speak out in the pending applications of the remaining 15 journalists. In this sense, the lower courts’ defiance of the TCC rulings was a blessing in disguise; it enabled the Strasbourg authorities to frame the non-implementation of constitutional judgments as the sole obstacle to the effectiveness of domestic remedies in Turkey without having to conclude that the constitutional complaint mechanism is ineffective (which it might have felt compelled to do had the TCC rejected the pending cases of remaining detained journalists, including Ahmet Altan). Unfortunately for the ECtHR, the situation is more complicated than this. While Alpay and Altan are the first TCC rulings concerning the detention of journalists after the coup attempt, they are not the only ones concerning prolonged detentions during the same timeframe. As I mentioned in an earlier post, in January 2018, the TCC rejected the application of Alparslan Altan, a former TCC judge who by then was kept in detention for eighteen months. The ECtHR is yet to examine his petition, which has been pending in Strasbourg since January 2017. The Venice Commission had found the TCC’s dismissal of Alparslan Altan (along with judge Erdal Tezcan) on the basis of “information from the social circle” they were believed to belong to and the “common conviction” of the majority of the constitutional court judges to be based on a “subjective” persuasion, i.e. not on solid legal evidence. I, for one, am looking forward to see how the ECtHR will address this issue. And then, of course, there is the elephant in the room which ECtHR officials, scholars and observers do not speak about: Kurdish parliamentarians belonging to the Peoples’ Democratic Party (Halkların Demokratik Partisi-HDP), the third largest political party represented in the Turkish Parliament. We are yet to hear the ECtHR’s stance on the detention of members of the parliament belonging to a political party which received over ten percent of the votes in the last general elections and is represented at the Parliamentary Assembly of the Council of Europe. While the ECtHR is taking its time to examine the petitions of HDP deputies, who have been awaiting a judgment for up to 13 months, the Turkish judiciary has been working round the clock to conclude the criminal process, convicting Kurdish parliamentarians one after another. This outcome simultaneously achieves two critical goals for the Turkish regime: transforming the legal status of parliamentarians from detainees to convicts and thus preclude a potential ECtHR ruling ordering their release and the automatic revocation of the parliamentary seats held by convicted deputies. As of now, ten HDP deputies have already been stripped of their seats, reducing the party’s parliamentary seats by 17 percent. And finally, since November 2017, the TCC started to reject the constitutional complaints filed by detained Kurdish deputies. Thus, the ECtHR’s prioritization of Alpay and Altan is not based on sound criteria. There is no legal principle to suggest that the arbitrary detention of journalists on dubious terrorism charges without any due process is more disconcerting from the perspective of democracy than the same treatment afforded to elected politicians. While lower courts’ non-abidance with constitutional rulings is very troubling from the perspective of the rule of law, so is a constitutional court’s resort to emergency powers in dismissing its own members on the basis of gossip. Neither is the ECtHR’s selective approach innocent. By choosing not to examine the cases of journalists and Kurdish politicians whose petitions have not been addressed or rejected by the TCC, the ECtHR seemingly avoided the inevitable conclusion that the constitutional complaint mechanism is ineffective. The Court might have alleviated its docket a little bit, but further tarnished its legitimacy and reputation, at least in the eyes of the human rights community in Turkey. Let’s now look more closely at what the ECtHR has said and not said. The applicants claimed that their initial detentions violated Article 5(1) because they were not based on reasonable suspicion that a crime necessitating pre-trial detention was committed, that their prolonged detentions violated Article 5(3) because courts did not give sufficient reasons in extending their pre-trial detentions, and that the TCC violated the requirement of “speediness” under Article 5(4) in reviewing their constitutional complaints. They also claimed that they were targeted on account of their journalistic activities in breach of Article 10 and that the real purpose of their detention was their critical opinions about the President and government in breach of Article 18, in conjunction with Articles 5 and 10. The Court found violations of Article 5(1) and 10, and no violation of Article 5(4), and declined to examine the remaining claims. In finding the applicants’ pre-trial detention to violate Article 5(1), the ECtHR concluded that the Turkish authorities failed to substantiate with evidence their charges against Altan and Alpay. The Court entirely evaded the Article 5(3) claim in Altan and considered it “not necessary” in Alpay, without explaining why it found it unnecessary to examine whether prolonged pre-trial detention is a separate human rights violation. Finally, while conceding that 14 to 16 months-periods could not be considered “speedy” for constitutional review of the lawfulness of pre-trial detention in an ordinary context, the found no violation of Article 5(4), citing “the specific circumstances” of these two cases, namely that they raise new and complicated issues concerning the right to liberty and security and freedom of expression under the state of emergency, and the TCC’s workload after the attempted coup. It did not indicate how long would be too long for lack of constitutional review under such special circumstances. The Court was at its best in its review of Article 10 claims. While accepting that the attempted coup posed a major threat to democracy, it stressed that governments must strive to safeguard democratic values even in emergency situations. Government criticism should not lead to criminal charges for serious offenses such as attempting to overthrow the government or engaging in terrorist activity, and even where it does, pre-trial detention should be used as an exceptional measure of last resort since it would inevitably have a chilling effect on freedom of expression, even when the detainee is subsequently acquitted. In light of the ECtHR’s belated but growing willingness to find abuse of power in the detention of opposition politicians, activists and human rights defenders in Ukraine, Azerbaijan and Georgia, whether it would also find an Article 18 violation in Altan and Alpay was a matter of anticipation. In the end, all we got was the ECtHR’s usual escape strategy: “not necessary to examine”. In not even addressing the applicants’ claims that their detentions were based on an ulterior political motive, the Court disregarded the Commissioner for Human Rights’ third party intervention, which implicitly points out the abuse of power in the criminalization of political dissent in Turkey. Noting that “there is currently a clear pattern of suppressing legitimate dissenting views in Turkey and that judicial action targeting individuals and groups expressing those views is an integral part of this pattern”, the Commissioner had urged the Court to see the detention of numerous journalists against this general background. The consideration of the broader political context has never been one of the ECtHR’s strengths. Just as it never questioned the necessity of prolonged emergency rule in Turkey’s Kurdish region in the 1990s, treated the gross human rights abuses in that region as individual instances rather than a matter of state policy and did not consider the systematic repression of Kurdish dissent under the pretext of counter-terrorism to constitute abuse of power, in Alpay/Altan, the ECtHR did not question the necessity of continued emergency rule 20 months after the failed coup or even review the proportionality of measures adopted in the name of counter-terrorism, and refrained from engaging in Article 18 review against a signatory state which has been a repeat player in criminalizing democratic dissent – long before the post-communist countries joined the Council of Europe. The only, and very significant, novelty of Alpay/Altan is the ECtHR’s assessment of the constitutional complaint mechanism. In what reads like a love letter, the Court unquestioningly deferred to the TCC’s reasoning and conclusions – even at the expense of disregarding the fact-findings of the CoE’s non-judicial organs. In not reviewing the prolonged nature of pre-trial detentions and seeing no problem in the fact that individuals charged with aggravated life imprisonment had no access to the investigation file to challenge their pre-trial detention, the Court has effectively said that so long as the TCC receives and reviews individual complaints, European supervision of Turkey will be limited to policing the execution of TCC rulings by lower courts. Very reassuring, indeed. 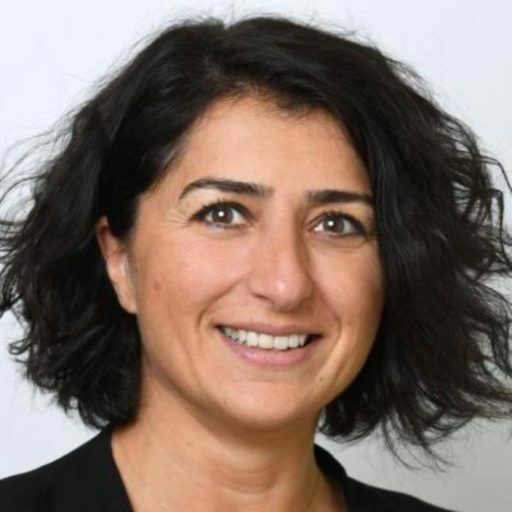 SUGGESTED CITATION Kurban, Dilek: A Love Letter from Strasbourg to the Turkish Constitutional Court, VerfBlog, 2018/3/27, https://verfassungsblog.de/a-love-letter-from-strasbourg-to-the-turkish-constitutional-court/, DOI: https://dx.doi.org/10.17176/20180327-205054.